Cynar has always been our go-to amaro for times when we’ve over eaten, or to help soften the blow of a hangover. At 16.5% ABV, Cynar is on the lower end of the spectrum in terms of strength, and that’s what we’ve always loved about it. The downside, though, is that it makes Cynar slightly less versatile in cocktails or with soda when compared to other, higher ABV amari, like Fernet (39%) or Averna (32%). Despite its relatively low proof, Cynar has developed quite a following, especially among bartenders who have become a little burned out on Fernet Branca. 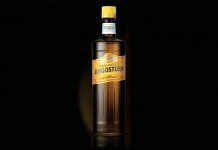 Seeing this opportunity, Campari America (Cynar’s parent company), has launched a higher strength version of this popular amaro, Cynar 70 proof. Cynar 70 Proof (35% ABV, $34.99) – notably darker in color than the original Cynar, this higher proof release also seems heavier and thicker in the glass. The nose for Cynar 70 is also notably more expressive with stronger presence of cinchona bark, black pepper, rhubarb root, and dried orange peel. The Cynar 70 nose is much spicier than traditional Cynar and has a much deeper, earthy root aroma. The sweet caramel base that’s part of Cynar’s signature aroma is still there, but it’s far less dominant than with the traditional Cynar. The entry for Cynar 70 is nothing short of a “wow!” experience: strong, bitter, and abundantly expressive. The cinchona bark and rhubarb root from the nose are dominant in the entry which helps give the opening its strong, bitter, and rooty character. Many of the same elements which can be found in traditional Cynar are here, but the experience of them is completely different. It’s also clear in the entry that the amount of sugar added to Cynar 70 has been bumped up a bit to help maintain balance with these stronger flavor notes. After the initial bitter bark blast, Cynar 70 settles down a bit as the sweet caramel undertone emerges, and it’s joined by a delicious dried orange peel note. In the midpalate, Cynar 70 shifts focus slightly from bitter to spicy with a strong peppery core. It’s also in the midpalate where there’s a slight vegetal quality to Cynar 70. 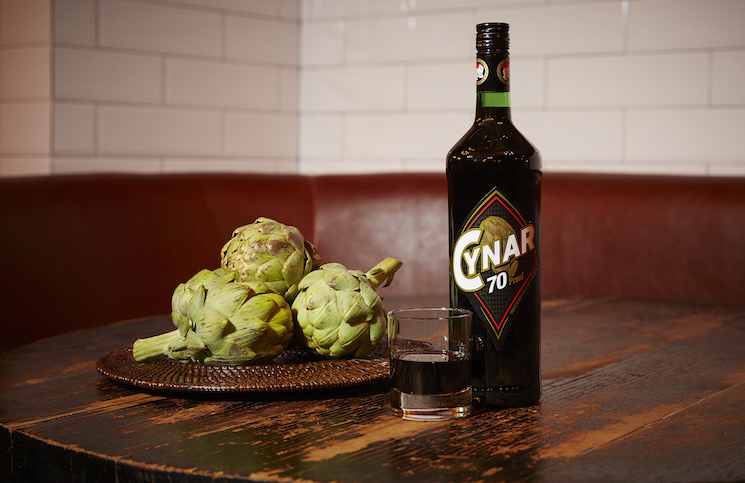 While Cynar doesn’t taste exactly like artichoke, (Cynar gets its name from cynarin, which is derived from a property found in artichokes), the bitter vegetal quality in the midpalate is reminiscent of the aftertaste of a more bitter artichoke leaf. The finish for Cynar 70 is long and bitter, but not unpleasantly so. There’s enough of the caramel sweetness from the midpalate to really balance out the bitterness on the finish. 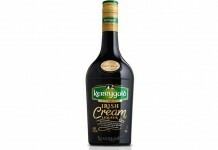 Some of the spice from the midpalate is also carried along in the finish, which gives it all nice depth and complexity. At 35% ABV, Cynar 70 is a completely different experience than the traditional Cynar. The intensity of the bitterness in Cynar 70 is impressive, but not nearly as impressive as how well balanced this strong rooty bitterness is. Overall, the flavor delivery for Cynar 70 is superb. Cynar has managed to take everything we love about their traditional amaro and present it in a new and intensified way. Cynar 70 won’t replace traditional Cynar for us, as we’ll still turn to the lower proof version to settle upset stomaches or to soften the blow of a hangover. Cynar 70 does succeed at creating another amazing tool to add to the cocktail toolkit. Also, at this proof it’s a no brainer to consume in seltzer or even as an alternative to the overly pervasive Fernet shot. 91 points.